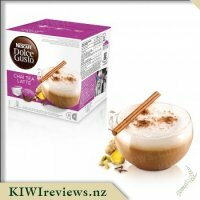 NESQUIK Hot Chocolate from NESCAFE Dolce Gusto - the fun new way your kids can enjoy an old favourite! 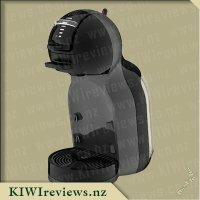 When my husband was interested in purchasing a coffee machine I wasn&apos;t sure it was something I would be able to make much use of. I am not a coffee drinker, I am not a tea drinker, but I do enjoy a good hot chocolate now and then. 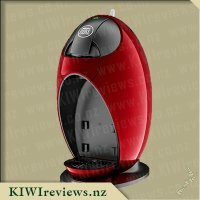 When we started to look at the coffee machines I realised that there were pods that would allow me to make a hot chocolate so we decided on a machine that had such pods in its range. 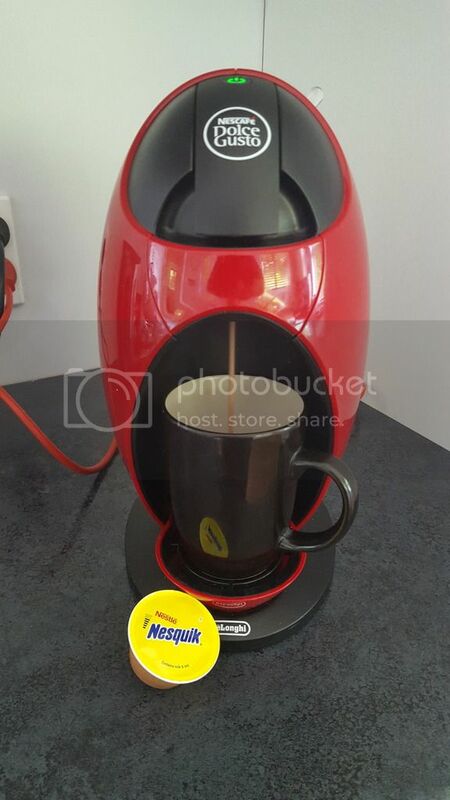 The Dulche Gusto Jovia machine was perfect for us and when these Nesquik pods came up for review I just had to try them. Reading the instructions I noticed that for this drink you use one pod and only 150ml of water. I am assuming this has been done to be the perfect size for a child, as Nesquik is marketed to children through the cartoon rabbit on the box. Deciding that 150ml just wasn&apos;t going to be enough for me I chose to have two pods instead of just one to fill my coffee mug to the top. This does mean that it&apos;s not as good a deal as it first seems - having 16 pods for $9.99 made it better value than the other pod options, but having to use two puts it back into the same price bracket per drink as the other varieties. I popped one pod into the machine and turned on the hot water. I do like the simplicity of this variety. No having to stop after doing the milk to add in another pod to add the flavour. I did however have to try and judge approximately 150ml as the Jovia machine is manual and not automatic. Once it seemed to be about half way in my cup I stopped it and put the other pod in. Once my cup was filled I wiped the machine clean and headed to the couch to sit and enjoy my drink. And what a pleasant hot chocolate drink it was. The first sip my top lip was surrounded in frothy milky goodness. I love how these machines manage to create the frothy milk top just like a coffee shop does. The chocolate flavour was lovely - not too bitter, not too sweet. In fact it was just right. And it stayed that way right until the end. With the chocoletto pod you get a bit of separation between the milk and the chocolate if it sits for a bit during drinking, but with the Nesquik this didn&apos;t seem to happen quite so much and I assume that is because it does all come in one pod. This one will certainly be on the shopping list in the future. I see myself enjoying quite a few Nesquik hot chocolates over the coming winter! I love nesquik and have done for years. 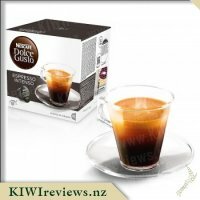 So when I saw that nesqik was a drink for the Nescafe Dolce Gusto machine I was excited for it. I normally like my nesquik cold, but using the machine its only mean to be hot. But my daughter who use to love milo had to switch to nesquik cause she can&apos;t have barley and loves it hot. When I got a mini me machine for Christmas I had to give the nesquik one a go. It says "the fun new way your kids can enjoy an old favourite!" kids? you mean big kids too right? because I love it. 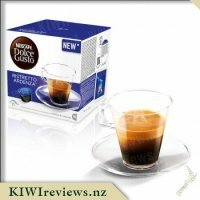 One pod doesn&apos;t make a big enough cup for me so I use two pods to get a full cup as a single makes about 150ml of drink. 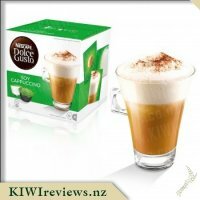 My daughter gets one pod as she only needs a small drink but I add milk to her one to cool it down a little as the hot setting is hot, I need to wait a bit for it to cool down but she is 8 and wont wait. Its not too sweet but still has the chocolate flavour there. If you want it less chocolate flavour you can change the setting so its watered down a little more. 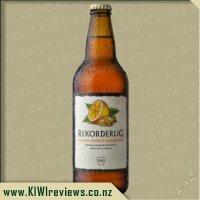 The box is in a bright yellow colour and comes with 16 pods instead of the 8 drinks per other boxes for the same price ($9.99 is a good price for 16 drinks). 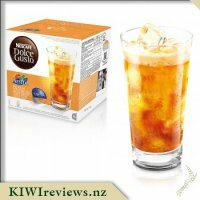 The colour of the box stands out really well in the supermarket and my kids can find it really fast and not be mixed up with any other drinks. I love that they brought out nesquik as the other chocolate drink is too sweet for my kids. 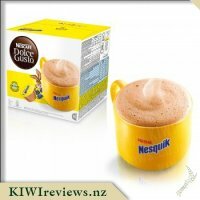 I loved having a Nesquik drink when I was younger, though I always had mine as a cold milk drink, so seeing it as a hot drink piqued my interest and I was keen to give it a try. I tried one of these before the kids got to see the box and found that it was just the right amount of chocolate flavour, considering that I&apos;ve been eating less and less chocolate lately, this was a big plus. Another plus was that it doesn&apos;t taste too sweet and then the fact that there are sixteen pods, a great amount for the cost of $9.99 and given the taste, an amount I&apos;d be happy to spend on hot chocolates. When my kids saw this, they were very excited. My youngest has asking for hot chocolates (god only knows why in this heat...) and straight away wanted us to make some up. Having only one pod means less complications or things to do/change for young ones. My nine year and seven year old were both able to do this one hundred percent on their own, the bars on the pod easy to count and translate into the machine itself. Soon enough they had their own drinks and after letting it cool drink it down and declared it delicious. My five year old needed some guidance on when to stop scrolling for the water bars and then pushin the lever down to pierce the pod, beyond that she was happy that she could do most of this drink on her own and has been begging for more since then. I can see us getting this again, the kids love it. Miss 3 was quick to swoop up the box of Nescafe Nesquik when I arrived home with several boxes and a brand new Eclipse machine to review, the rabbit on the box and the bright yellow colours really appealed to her and it was long before she declared it to be all for her, her "special yellow rabbit fluffy drink". Miss 3 has been enjoying going out for fluffies recently so she was beyond excited knowing that she could now enjoy &apos;fluffies&apos; at home. 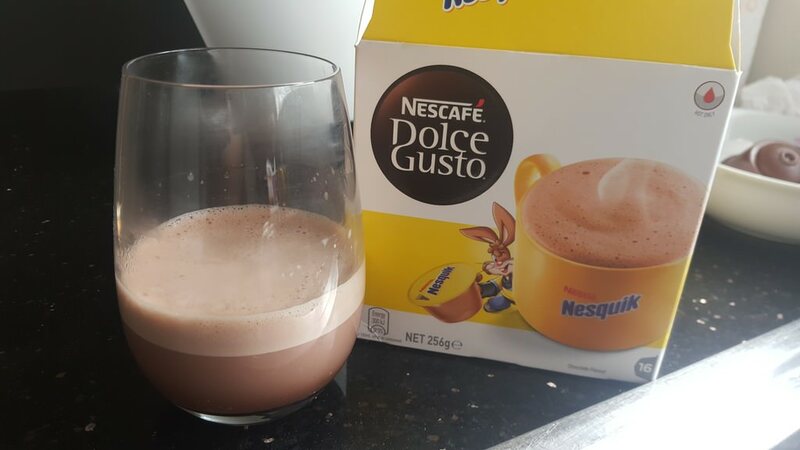 The Nesquik itself is easy to prepare with each drink only requiring one pod to be used per drink, as the milk and chocolate powders are all in one, unlike the other chocolate drink by Nescafe Dolce Gusto &apos;Chocoletto&apos; which requires the use of 2 separate pods. 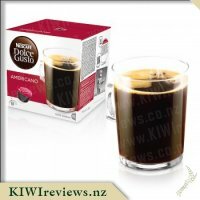 To prepare the drink you need to select 5 bars on your coffee machine which prepares a 150ml drink to enjoy, it also states to only use hot water, which I must admit did surprise me as growing up I used to drink Nesquik all the time, but it was always something that you had cold like a milk shake. Once the drink is done you are left with a light brown chocolatey drink, that is rich, smooth and creamy and has just the right chocolate flavour with perhaps a touch of marshmallow, the top has a nice amount of froth to it which my daughter just loved. Due to the fact that this drink was prepared using hot water it needs to be left for several minutes until it is safe enough in temperature for a child to drink without burning there mouth, there is a little comic on the back of the box which shows that 3 minutes would be enough time, we followed this as a guideline and Miss 3 was happy to drink her drink after this amount of time. We have made numerous Nesquik in our Eclipse machine already and they have been a hit with everyone who has tried one, both young and old, my partner was unable to tell any difference between this drink and the Chocoletto, however I found that it was less rich than the Chocoletto but in saying that something I would still happily drink. We have made this drink into something special as a treat by adding a dollop of ice cream to it and then topping it off with some mini marshmallows and sprinkles which was super yummy. I have also opened a pod up and beat this together with some cream to make a yummy, light not overly rich chocolate mousse which my daughter and nieces devoured in no time at all. 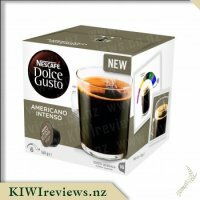 This is another drink from Dolce Gusto which gets full marks from me I love just how easy the pods are to use and the amazing flavours that they produce, big thumbs up for producing a child friendly drink that is not packed full of too many calories or to much sugar, I can happily give this to my daughter every now and then as a treat without worrying about this. 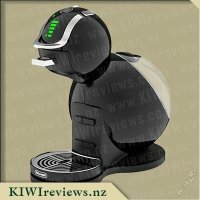 The pods are great value as you are getting 16 drinks out of a box for $9.99, which makes them under $1 each. As a non-coffee drinker, I love my teas and hot chocolates. I was a bit surprised to see Nesquik released as a flavour, as there was already a hot chocolate flavour in the range (the &apos;chocoletto&apos;). But I had a sudden hit of nostalgia as I remembered drinking Nesquik as a child, so I thought I&apos;d try it again (It&apos;s been a good 17 years since I last had it). 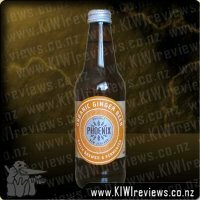 This drink comes in a single pod (compared to the two pods required for the other hot flavours that have milk). This single pod formation has two great things about it. Firstly, this immediately doubles the number of beverages that you can get out of a single box (up to 16 from the usual 8), Secondly, it removes any possible confusion when working on older machines when it comes to picking how much milk and how much chocolate to add. One pod, one pour. Of course one pod does mean less drink (unless you want a really weak beverage) so we end up with a 150ml drink; much smaller than the regular drink which often ends up around 210-250ml. It&apos;s important to note that the "hot" setting on the coffee machines are the same for adults and kids drinks (obviously) so care should be taken to ensure young ones don&apos;t drink from them immediately, otherwise they could risk burns (I myself still prefer to wait for a drink to cool before consumption). The drink itself is definitely a softer chocolate drink. It has far less bitterness to it, compared to the &apos;chocoletto&apos; variety, and actually tastes a little like there is a marshmallow melted into it, which I enjoyed. 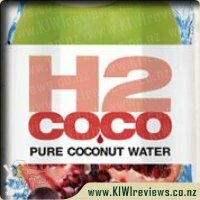 While I generally don&apos;t like drinks that are too milky, it works well with this beverage (it could be another positive aspect of all being in one pod) as everything is mixed properly, and has no real separation of flavour. The photo shows there is separation with the fluffier milk on top, but it has the same flavour as the liquid beneath. Interestingly, the Nesquik variety also has only 2/3 of the calories, compared to the &apos;chocoletto&apos;, and this is observable in the nutritional information, seeing that it contains approximately 3 grams less sugar (per 100ml) than the &apos;chocoletto&apos;. So a healthier version of the original hot chocolate pod variety, that is easier to make, half the price, and in my opinion tastes much better. Win-win. 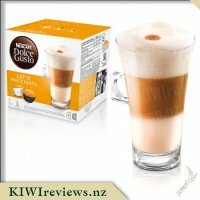 When I first saw there was a chocolate Nesquik for the Dolce Gusto machines I thought this would be great for the kids as they love their flavoured milk. I was surprised to find out that this was actually to be made with hot water and not cold so effectively a hot chocolate for kids. My kids loved that idea and once I had shown them they were able to make the drink themselves. My girls (nearly 7 and 8 years old) both loved their hot chocolate but found that it was too hot for them to drink when it was first brewed. It only made 150mls but that was enough for them. 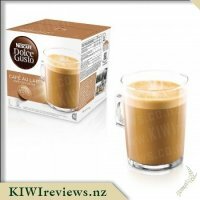 It was also better than when they would make their own milo or flavoured milk as it was a measured amount rather than how much they can they heap on a teaspoon. I also made a cup up for each of them and left it to cool in the fridge overnight. 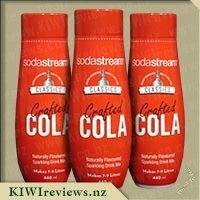 They both really enjoyed it but we noticed that some of the flavour had settled on the bottom so it would pay to stir it before drinking. Although it said not to I had to try making the pod up with cold water from the machine. 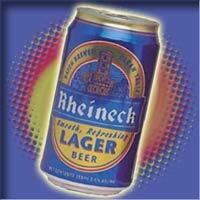 It brewed fine and tasted as expected. The only thing I found was I was drinking room temperature milk which wasn&apos;t that appealing. I also poured some of the hot brewed Nesquik into iceblock moulds. The following day we enjoyed them. They tasted very similar to the chocolate Paddle Pops you get at the supermarket or dairy. We did notice that the ice blocks were darker at the top where the flavour had settled but they were still a hit with young and old. 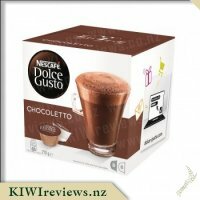 I think I prefer the Nesquik to the Chocoletto, the other Dolce Gusto hot chocolate, as it only uses one pod so is half the cost to make, a smaller serving for the kids and less calories. 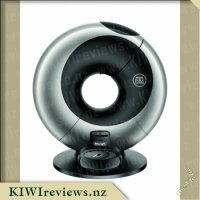 I will certainly be recommending it to all Dolce Gusto owners with kids. Nekta Liquid Kiwifruit and Goji Berry is made from whole New Zealand Kiwifruit and imported Goji Berries. Although the kiwifruit originated from China, New Zealand was the first country in the world to grow the kiwifruit commercially. 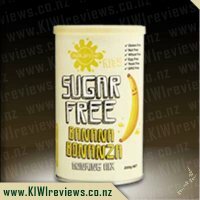 New Zealand Kiwifruit is the acknowledged world leader in quality kiwifruit production. 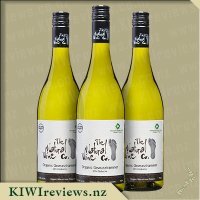 Nobody knows how to grow the kiwifruit better than the Kiwis.